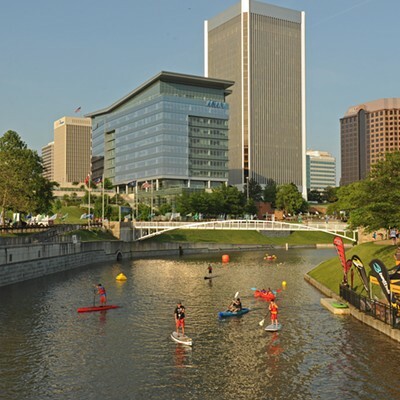 Rocking the River | Cover Story | Style Weekly - Richmond, VA local news, arts, and events. 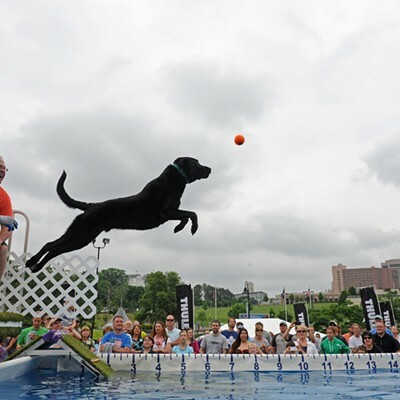 Meet five Richmond athletes who get their thrills beyond the gym. 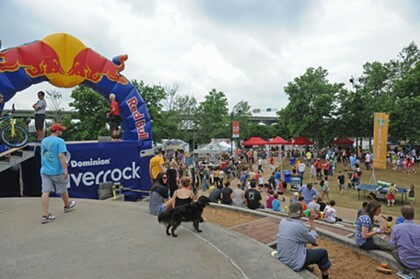 The three-day Dominion Riverrock Festival kicks off Friday, May 17, and runs all weekend. Free. 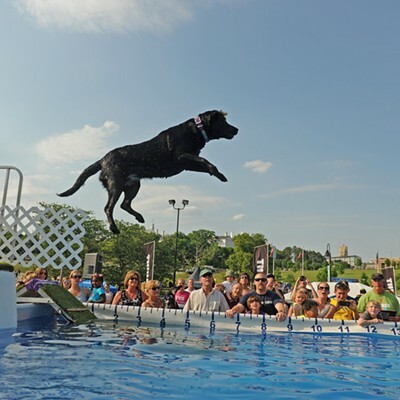 Find the complete schedule of events here. 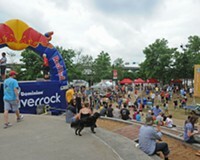 Sports Backers and Venture Richmond link up this weekend for another year of the Dominion Riverrock Festival, one of the city's most popular outdoor sports events. 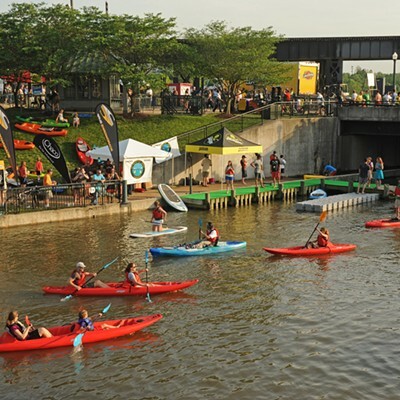 The annual conclave features all kinds of riverfront competitions, such as the filthy mud run, freestyle cross-country biking, James River scramble trail run, kayaking and the always crowd-pleasing air-dog distance jumping. And that's not to mention the drinks, food and music, including performances from jam-band favorites Soulive, Lettuce, Anders Osborne and living legends of reggae Toots and the Maytals. But at the heart of all the fun are serious athletes who train throughout the year. We talked to five of them who help make Riverrock happen about their passion for adventure sports. On the James River, at Z Dam near Pony Pasture. 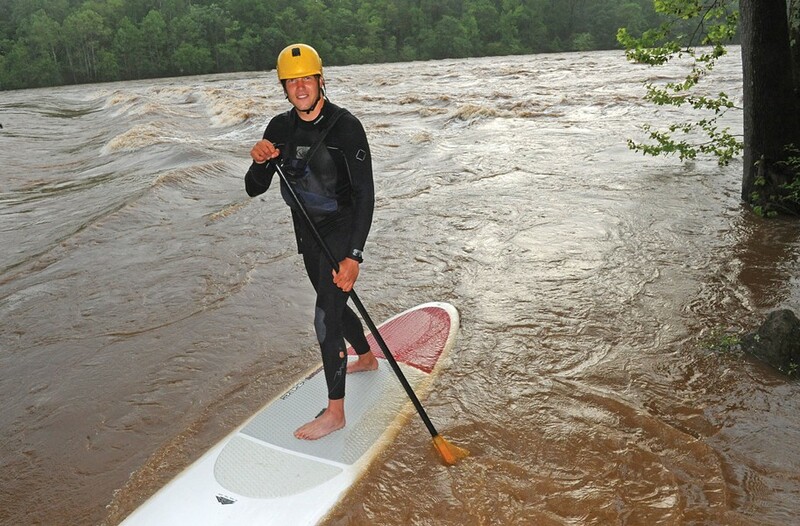 I started white-water paddle boarding — or battle boarding — here on the James in January 2011. The reason I've totally fallen in love with the sport is its combination of white water and surf. I grew up surfing then started paddling white water. I found myself always looking for ways to get a surfboard onto the river waves. I would surf in a kayak. I also tried taking a kayak out in ocean surf, but none of that really fulfilled both desires. Battle boarding lets me paddle the best of both worlds. It combines elements of surf and white water in a way that kayaking couldn't for me. It has a much smoother learning curve since a beginner doesn't have to overcome the fear of being trapped underwater in a boat. If you fall off, you just swim back and try again. When I stepped on a paddle board and paddled out of Reedy Creek to take on downtown James for the first time, I assumed it would ride exactly like a surfboard. I stood in surf stance back from the center of gravity like I would if I were surfing, and the first break showed me the error of my ways quickly. James River water in January reinforces those lessons, so I spent the next few weeks paddling on my knees so I could get used to the way the board reacted in white water before attempting to stand up through rapids again. To excel at the sport, large amounts of time need to be put into it. Spending a large part of my life playing in the water translates to a large part of my life learning about water. I draw on my background of both surf and white water with every paddle stroke or body movement. Humility, patience, determination and a desire to swim a lot don't hurt either. I've run enough ultra-marathons to know there is such a thing as runner's high. I can't think of a time when I've climbed and not felt that euphoria. I haven't had enough strength left in my arms to hold a toothbrush afterward, but I can't think of another sport where it is so fun to get destroyed. I first got hooked on climbing as a 7-year-old atop a 100-foot pine tree in Wellesley, Mass. I loved the exposure and feeling of accomplishment for reaching that height under my own power. Later in life, I learned that ropes, harnesses, belayers, crash pads, spotters are more reliable than pine tree sap for keeping me off the ground. It takes an integrated ego to excel at climbing. The most enjoyable climbs or boulder problems are not the tallest or the easiest. The best are the ones where we almost let go of every handhold or almost slip from every foothold. When I'm climbing at the very edge of my ability and there is a certain amount of failure to contend with, I'm having the most fun and getting the most from my investment in the sport. The climb is a perfect mirror. If you're impatient or careless or unprepared, the climb will reflect that right back at you. When you slip and hang on that rope or crash on the boulder pad, it's there for all to see. If you show the climb the best of what you're capable of, you'll be rewarded in tangible ways in real time. I had been searching for a way to quiet my mind. I'd practiced land-based yoga for years and tried meditation. Paddle boarding is fun, exciting and sometimes competitive, but for me it's also moving meditation. The cadence of my paddle stroke ... being on the water ... being surrounded by nature and sky. I am finally able to be fully present, living in the moment. I got hooked on stand-up paddle boarding the moment I climbed on the board. It was a little long for me, 11 feet. My husband was on the shorter board — we should have swapped, and we both fell off every two minutes. As we paddled, dolphins joined us for a little while before we headed back in. It was magical. 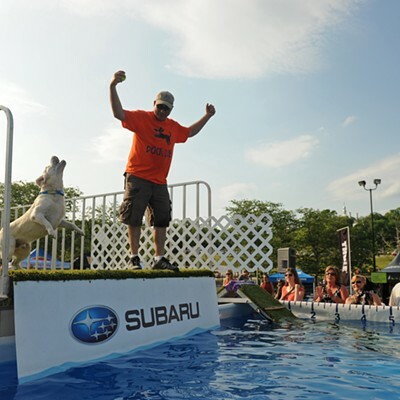 The first time I paddled out into the Chesapeake Bay, I felt like a rider at a rodeo. My board was bucking underneath me. There were rollers coming straight at me from the bay and side chop hitting me from the channels. I was bracing with my paddle, walking forward and back on the board. I didn't actually go in the water until I made it calmer waters. I think the adrenaline was working. I love this sport because it's accessible to everyone. You don't have to fit a certain mold, or body type to do it. 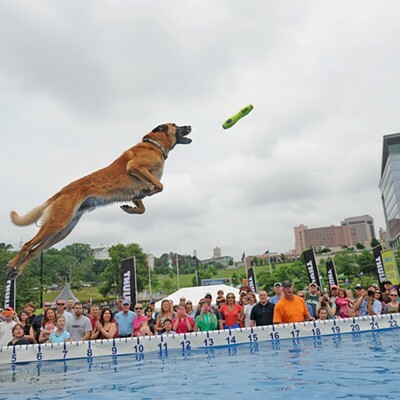 It's a no-impact sport that builds strength with water resistance and utilizing all the muscles. You don't realize you're doing it mostly. To excel at the sport, you could have great DNA like some elite paddlers, but for most of us though, it's putting in time on the water and getting your paddle technique dialed in. Practice. Sure, there's also gear and boards, but the more you paddle and learn good technique the better you're going to be. At the Lost Garden Trail on Belle Isle. I simply love being outside and on trails in the woods. I like the social aspect of it, too, especially when there's a beer or two to be had with friends after a ride. I started getting into mountain biking back in 1998 when I lived in San Diego. A co-worker of mine introduced me to the sport and I fell in love. I've been riding ever since. I ride about two times every week if I'm lucky. Although I don't ride competitively, I know many people who do, and they spend a lot of time in the saddle. Like any endeavor, it takes time and commitment, but I also feel that there's a constant learning curve, especially with different trails and obstacles that offer new challenges. It's hard to pick a favorite trail. I love the James River Park System Trail, the Boy Scout camp out in Goochland and Pocahontas Park. They all offer something different. 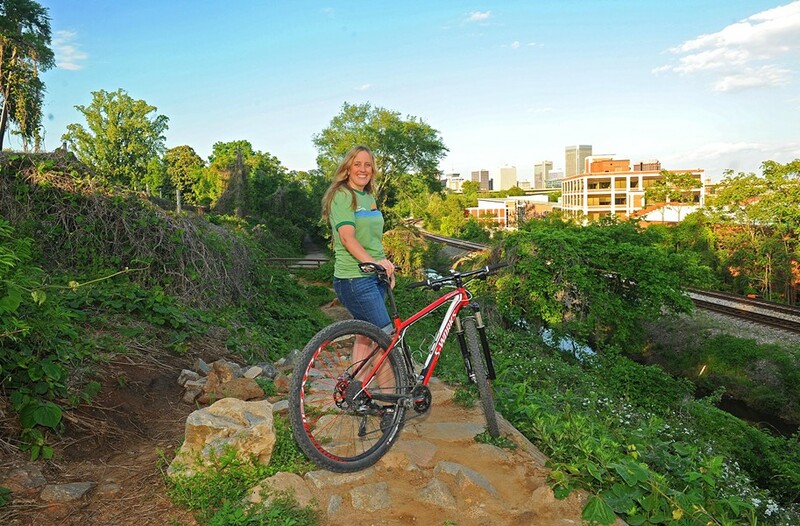 Thanks to Richmond MORE [the local mountain bike and trail advocacy nonprofit] along with the James River Park trail crew, we've helped build and maintain bike trails in the area. We're helping the next generation of bikers. Look at Belle Isle. Kids of every age are riding there in a safer, controlled environment and not out in the streets where they're more vulnerable to traffic. On the North Bank Trail. Riding and racing my bike takes me back to the adventure of being a kid. No worries about job, relationships or adult responsibilities. My first bike was a banana seat called the Prairie Flower. I still have the scar on my chin from learning to ride it. I loved the speed and adventure. Racing was a way to set goals and keep me engaged with the sport, while learning about the equipment, nutrition, training techniques and the industry behind the bike. I stopped racing as an expert in 2004, but stayed engaged on the production side, volunteer coordinating local cycling events, trail building and advocacy. I've worked in shops, ridden as a courier, been a board member of organizations and gone wherever I felt called to. One of the reasons I am passionate about the Urban Assault and Short Track race is that over half the field are beginners. New blood in the sport supports the shops in town, other race promoters and the future of biking. 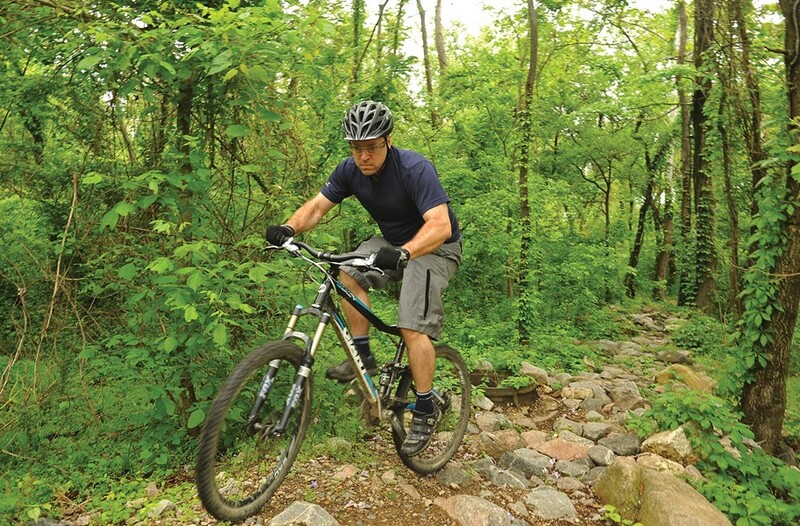 It also gives mountain bikers who ride these trails regularly a chance to test themselves in a race situation. Cross-country mountain-bike racing needs both participants and racers in order to grow and survive.